At least the part that lets me talk about my favorite market. Set in the heart of Central London is Covent Garden Market. It's a mishmash of artists selling handicrafts, plenty of local food and some permanent yet extremely interesting shops. Think of things like candy stores selling almost extinct traditional English sweets. Or Whittard, where almost all these mugs come from. Whittard is a tea and coffee store, which means they sell several types of teas, numerous coffees and everything in the equipment/crockery department you need to enjoy these beverages. The first time I went there, I wanted to buy the entire store. 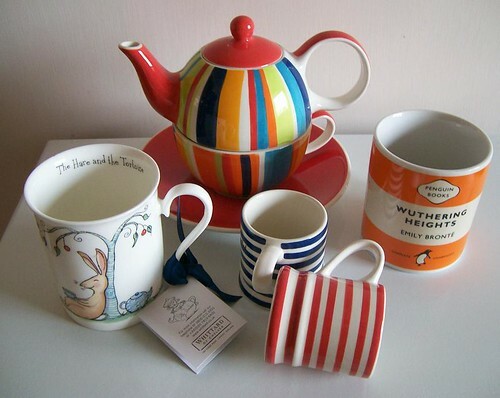 As an added bonus, they had a 50% sale this time round so I got me that lovely harlequin hand painted kettle that rests on top of a matching cup. The cute little striped cups are hand painted too. And do you see that nursery rhyme cup - the hare rests with a cup of tea while the smart tortoise makes it to the finish line with a cupcake. The one mug that doesn't come from Whittard comes from my other favorite place in London. My friend had seen these penguin mugs with names of books on them and wanted one, so I went to the best place for everything bookish - the Charing Cross Road. What you don't see here is my big huge stash of groceries. I think I bought a year's supply of everything you can't find easily in India. 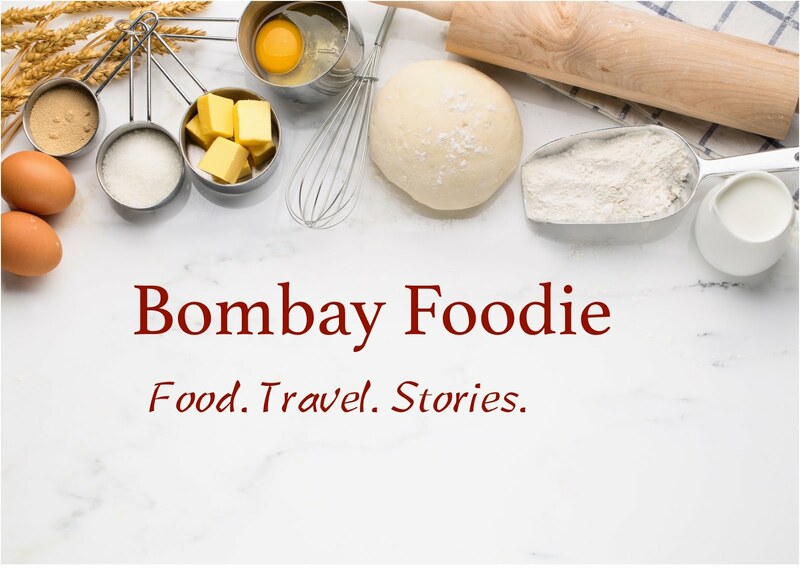 So if you are in Mumbai and craving something you can't buy here, give me a shout. And what about ppl who don't live in bombay huh?...my god simran thats a lovely loot I must say..look at those cups..I would hardly want to drink in them, while I am admiring ..:)..
great and now why don't you put up a picture of all that groceries too..good girl right..!..LOL...I actually want to see how much one can shop. Thats really a loot dear..These days even I m interested in shopping the crockery and groceries than the clothes shopping...hmm..waiting to have a look @ the groceries u bought der...post it soon..
Ohhhh - that teapot and cup is so cute! What else on earth did you loot? And didn't Bombay customs and their ferocious moustaches pounce all over it? a big huge stash of groceries? huh? I wanna see them too.. and the teacup is sooo cute and colorful. Oh!! Lovely loots like Valli says:). So what are we going to see in them? Such cute stuff! Covent Garden used to be my hangout place on the weekends. Love the atmosphere there. oh, i have been to whittard, i know exactly what you are talking about! Finally get to see the stash. But like the previous commentor's said, we need to see a pic of the entire stash!! !